So where is all this snow we were suppose to have already? 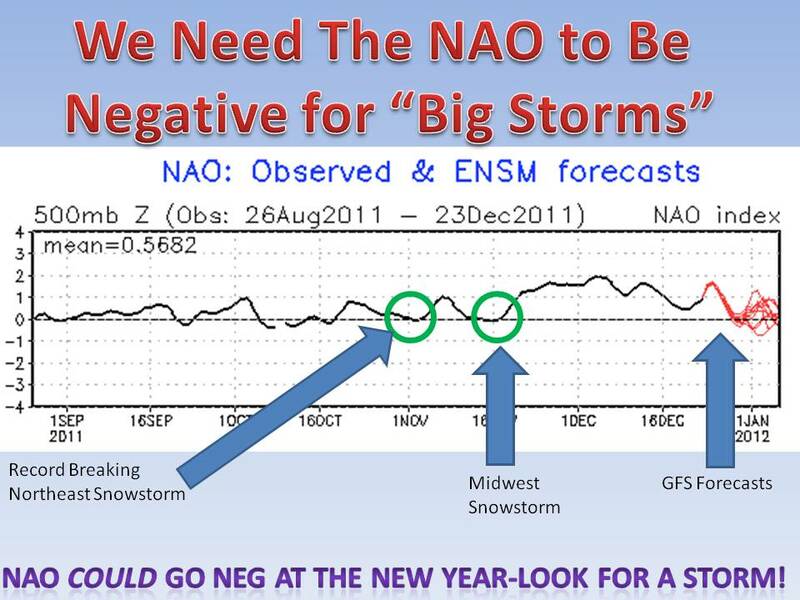 Better yet, when will the NAO go negative? See, we need the North Atlantic Oscillation (NAO) to be negative so that low pressure systems can deepen and produce heavy snows in the midwest and northeast. 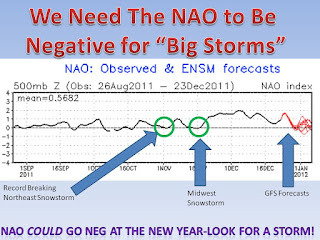 Some of the models have the NAO going negative by the new year, see image. The NCEP is still forecasting an above normal snow for this winter in much of the midwest, but time will tell. If the current NAO stay positive look for temps to stay above normal and small storm systems, but nothing over 4-5". Hopefully that can change by the new year!